The internet is full of articles that claim you can solve your problem with a handful of “easy steps”. Weight loss is a prime example. One article claims three easy steps to lose weight: Cut back on sugars and starches, eat protein, fat and vegetables and lift weights three times per week. If you look closer at these articles, they have two interesting things in common: they are both focused on things that will make us happier and they all include a deliberate action. These commonalities are not unique to internet articles. Over the years I have studied a wide variety of topics from organizational development to aromatherapy. As I researched and put my knowledge into practice, I noticed that there seemed to be some common principles no matter what the topic. 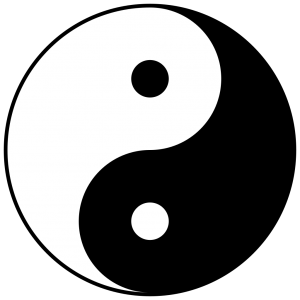 For example, one author who studies and practices Taoism noted that people should work at a rate of about 70-80% of their capacity to maximize their long-term effectiveness. In Scrum, a framework commonly used in software development, teams are encouraged to begin by taking on about 70% of what they think they can accomplish in a Sprint (a period of two to four weeks where the team can work without outside interruption). Eventually, I began to believe that there may be a set of universal principles that could help a person succeed in any situation and began to look for these commonalities. On several occasions, I attempted to compile the principles into lists but they would quickly grow long which made them difficult to use in a real-life situation. I wanted something short and sweet that could be used to evaluate a decision on the fly. If I was having trouble keeping my own principles straight, how could I expect others to be able to use them effectively? 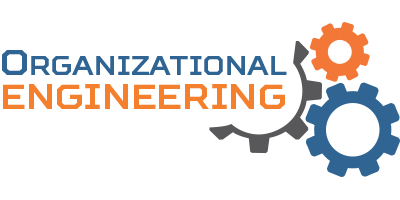 One day, when I was developing strategy for Organizational Engineering, the pieces all fell in place. Three principles seemed to magically appear on my whiteboard that encompassed all of the other principles and practices I was trying capture. What are they you ask? The first two, deliberate actions and happiness were listed in the weight loss example but one important element was missing: balance. 1) Deliberate Actions: Focused, goal-oriented actions dramatically increase the chance of success. 2) Happiness: The point of life is sustained happiness for ourselves and our loved ones. 3) Balance: Too much or too little of anything will have negative consequences. 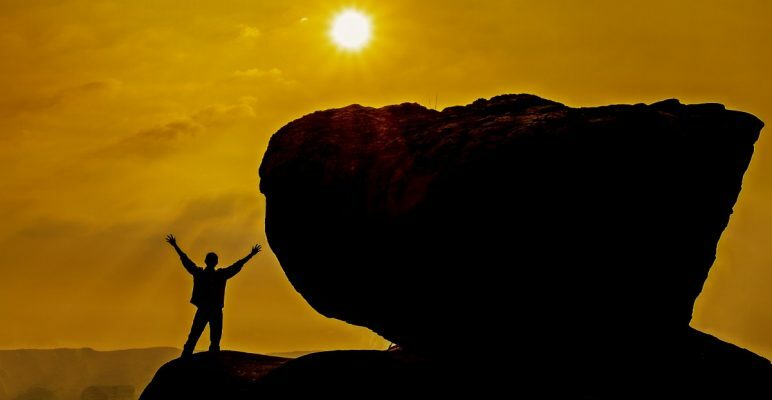 When used together, these principles significantly increase our chances of leading a fulfilling life. Let’s look at each of the principles in more details. There are two parts to a deliberate action: intent and follow through. Intent requires conscious thought. Action without intent or conscious thought leaves our lives to chance and greatly reduces the probability of leading a fulfilling life. It’s like taking your hands off the steering wheel, closing your eyes and pushing the gas pedal. You might be fine for a few seconds but at some point, you will end up somewhere you don’t want to be. Taking deliberate actions can be simple or complex. L. David Marquet, author of Turn This Ship Around, implemented a deliberate action practice with his crew. Before taking any action, the crew member would pause and think about what they were about to do. 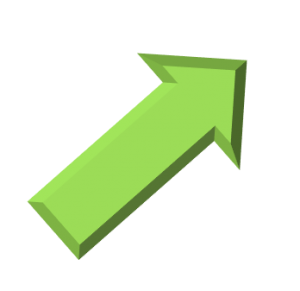 This simple practice resulted in dramatically fewer mistakes and improvements in inspection results. Companies like Toyota use deliberate actions in a much more complex way. They have 100-year plans that guide their daily actions and help them maintain long-term success. As David R. Hawkins M.D., Ph.D. points out in his book Letting Go, every decision we make in life is made in an attempt to increase happiness for ourselves or those we care about. Tal Ben-Shahar, Ph. D., the professor of the most popular course at Harvard, explains in his book Happier that if we ask why things happen or why we want them, we can almost always follow up with another why. But, when we ask why we want to be happy, there is a single correct answer: It is in our nature to want to be happy. Happiness is more than just having fun and I use the term synonymously with fulfillment. 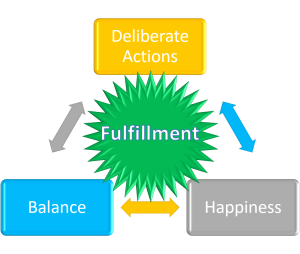 Fulfillment is a long-term well-being that results from all of our needs being met (think Maslow’s hierarchy). If you subscribe to this theory that happiness is the point of life, it would stand to reason that all of our actions should be focused on things that will make us and those around us more fulfilled. The specifics about what makes us happy differ somewhat for each person and that creates some challenges but that is a topic for another day. As we see in Maslow’s hierarchy, there are several elements of our lives that must be addressed to achieve higher levels of fulfillment. We live in a universe where time and resources are limited so, if we expend too much of our time or resources on any one element of our lives, we end up neglecting another area and will feel the pain physically, emotionally or spiritually. The same holds true for fulfillment. We need a combination of short-term enjoyment and long-term well-being to be fulfilled. For example, many “overachievers” sacrifice relationships and personal wellbeing to accomplish their goals. They put so much pressure on themselves that even though they may have the fancy new car and big house, they are stressed and lack satisfaction in other areas of their lives. Many “underachievers” focus too much on short-term satisfaction and make decisions that are detrimental in the long run such as constantly binging on Netflix, going to bars every night or regularly using drugs. While they may seem happy in the moment, they too are neglecting needs that will bring them long-term happiness. We make thousands of decisions every day. Stopping to think about these principles for every decision would be impossible. That said, here are some simple ways that we could bake deliberate actions, happiness and balance into our daily lives. 1) Set short and long-term goals. By using these principles to define your goals, the daily decision-making process will be simplified because you will already have a direction to head in. 2) Set a regular cadence for planning and reviewing your actions. It doesn’t have to be long. Taking 5 minutes every morning to plan your day can have an amazing impact. Before you get out of bed, while you are in the shower or while you are having your morning coffee, think about what you want to get out of your day, how you will do it and how those actions will fit with your short and long-term goals. Also take a moment to think about how your actions from the previous day may have impacted your personal fulfillment and make adjustments accordingly. 3) Measure your results. Since the main goal is happiness, keep track of how happy you are from day to day or week to week. It could be a journal, an excel sheet with a numerical rating or anything that will let you look back at your progress and keep you thinking about how to move forward. 4) Pause to think before taking a potentially important action. Just as described in Turn This Ship Around,, a simple pause to think about what you are doing before starting an activity can help reduce mistakes or steer actions toward a better outcome. Feel free to experiment with your own practices as well but remember to keep deliberate actions, happiness and balance in mind as you design them. We would love to hear how you have used one or more of these principles in your life. Share your comments below or reach out directly using the contact info listed on our contact page. If you liked this article, please share it with your friends, family and co-workers. The more we can spread the word, the more fulfillment we can bring to everybody’s lives!